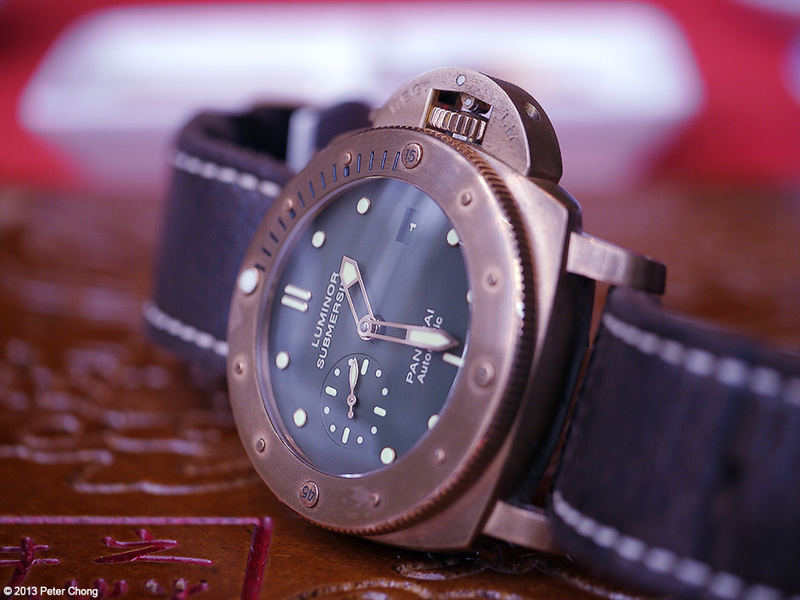 Panerai watches often fascinates. 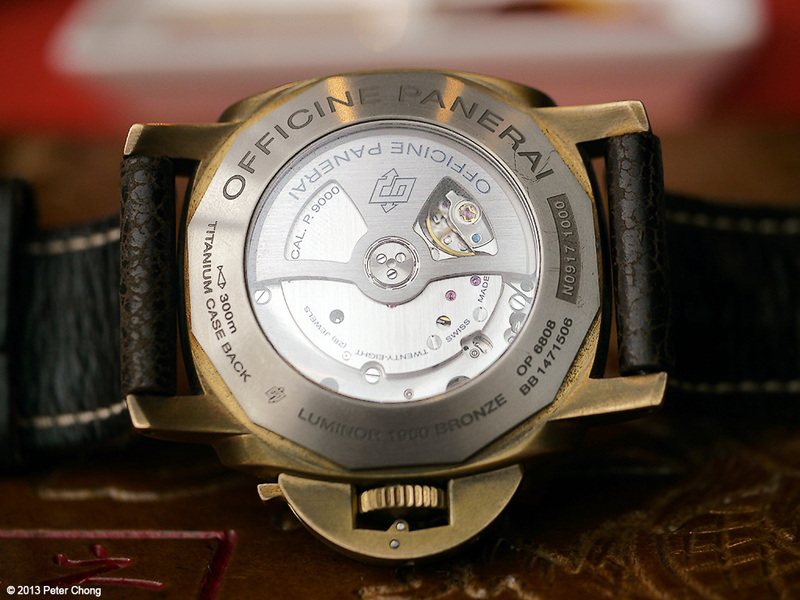 For me, they hold no special place, but they are an interesting company...one of the oldest watch companies in the world, their collaboration with the Italian Navy, and the unique design of their watches captivates many collectors. I am not going to say much about the watch...plenty of information on the internet that a quick google search can kick up. 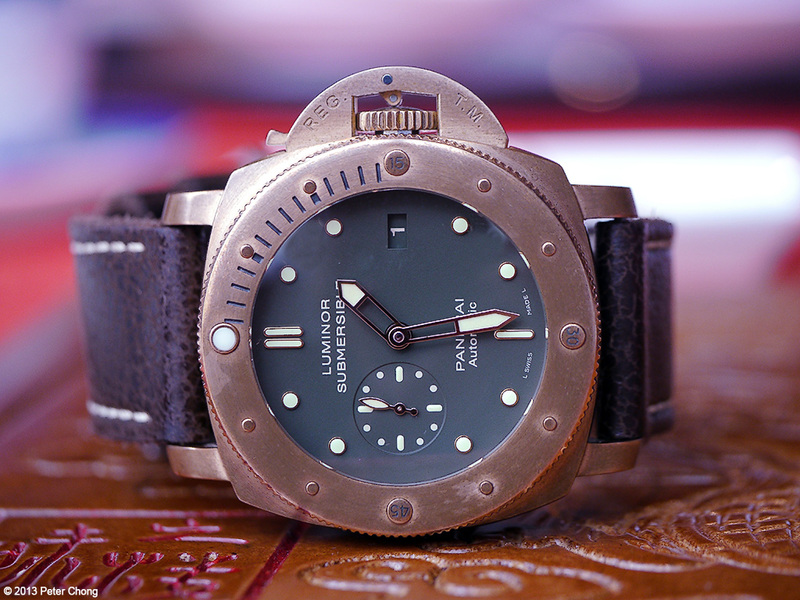 So enjoy the photographs of this very nice Bronzo, owned by my friend Timmy.